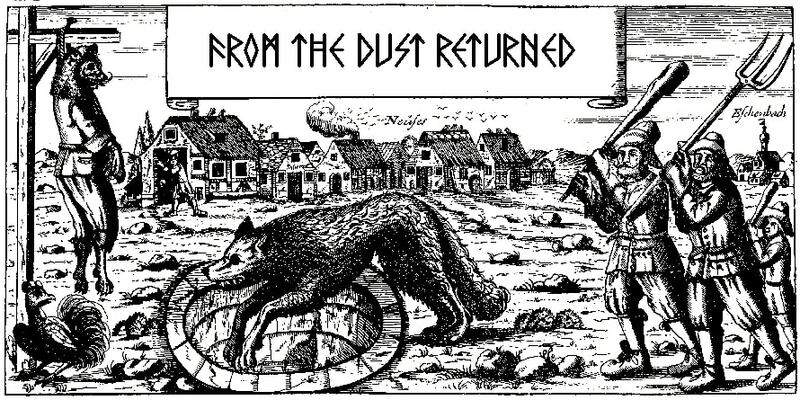 England's Fen are having themselves quite a productive year, both with a 70 minute new full-length and a decent split with Sweden's De Arma (which I've also reviewed). But the question is, are they spreading themselves too thin? The Malediction Fields was a fine debut, one of the best executions of the black metal/post-rock melting pot that I'd yet heard, a deep and fulfilling journey through the natural environments of the band's homeland. Having now listened through its follow-up, Epoch, a number of times, I can say that they still have the magic, even if I'm not nearly so overwhelmed with atmosphere as I was when listening to the last album. 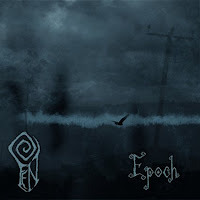 Epoch is laid out like a series of tides, an ebb and flow of tranquil synthesizers and ringing, psychedelic guitars that launch into moments of chaos and turmoil. You know it's coming, you simply need to paddle yourself out to the swell of the sea, and wait for the ride. The title track, and album opener, is almost all anticipation, rising to voluminous discourse but once, but the following "Ghosts of the Flood" utilizes a more traditional black metal structure, with blasted drums and driving guitars that feel like a tunnel of restless brine on an overcast day, your conscience drifting straight through, the spray alighting on your cheeks. There are calm segues here with clean vocals, and I found them to be more interesting musically than the heavier elements, but it does balance well. "Of Wilderness and Ruin" is more impressive yet, with demented, drawn out barks over a thick flow of melody, like Neurosis having a day at the beach. Elsewhere, there is the glistening of "The Gibbet Elms", or the passive/aggression of "Half-Life Eternal", another case in which I feel the band's atmospheric post-rock elements do us more of a service than their explosions into viscera. "Carrier of Echoes" probably has the best guitar riffs, a warm flood of substance and emotion that fades into the background. But I also really got a lot out of "A Warning Solace", and the album ends on its highest note with the sullen majesty of "Ashbringer", in which I truly enjoy the collapse and shine of the keys. It's probably the most consistent piece on the album, or at least the best at the band's intended escalation and decay. From a broad standpoint, Fen do have the emotional staying power to impress the growing scene of fans that enjoy the hybrid of these musical components, but I'll admit that I was just not that into their blackish metal elements here. When you dissect the guitar lines, these are usually the coordinates in which they're just not doing anything memorable. That said, I enjoy the tangible, thematic departure here, the setting and mood of the album. Where The Malediction Fields felt more repressed, boggy and cold like a still marsh, Epoch is more like the shoreline after a violent rain has spun through, even though the stylistic fundamentals remain similar. It will be interesting to see if the band can constantly give themselves this minute shot of renewal through each of their incarnations. At any rate, this is a good sophomore, if less revelatory than its elder sibling. For the record, the artbook version of Epoch is absolutely gorgeous. I'm not a fan of buying music in cd format but this is totally worth it and I would love it if more albums are offered with this presentation.